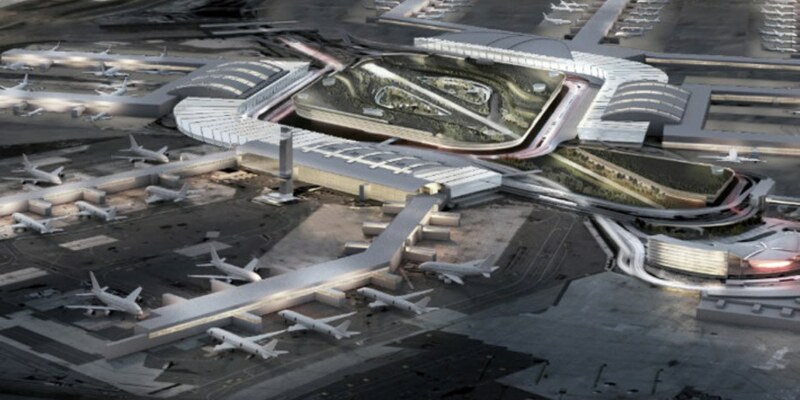 Following New York State Governor Cuomo's free college tuition plan announcement, he shifted his focus to infrastructure, with a plan to renovate the worst parts of JFK International Airport. The plan is estimated to be a $10 billion dollar investment for the State, but the Governor has proposed that seventy percent of the cost would come from private investors. Proposed improvements include interconnected terminals with amenities, and a boost to security systems. In addition to the airport itself, Cuomo plans to improve the roads in, and around the airport, to drastically improve airport parking and traffic flow. Changes to the Van Wyck expressway have been proposed to create another lane, and repair the Kew Gardens Interchange. The JFK air tram may be included, with additional train cars proposed, along with an easier route from the Long Island Rail Road to the tram. Ideally, Cuomo would have the MTA propose a solution to create a "one-seat-ride" to the airport. A timeline for this extensive proposal has not been released, and the budget would be more than double that of the upgrade for LaGuardia. While ongoing construction may bring the groans of frustrated travelers, Cuomo's proposal to tackle a crumbling infrastructure, “building today for a better tomorrow,” will make future travel a much smoother ride.